Lately my family has been listening to a radio show called H.P. Podcraft, a literary podcast about Lovecraft and his works. Of course we’ve been listening to Welcome to Night Vale too, and between the two shows I’ve been absolutely steeped in that special brand of macabre that can only be from H.P. This might’ve influenced my choice of places to photograph this morning. 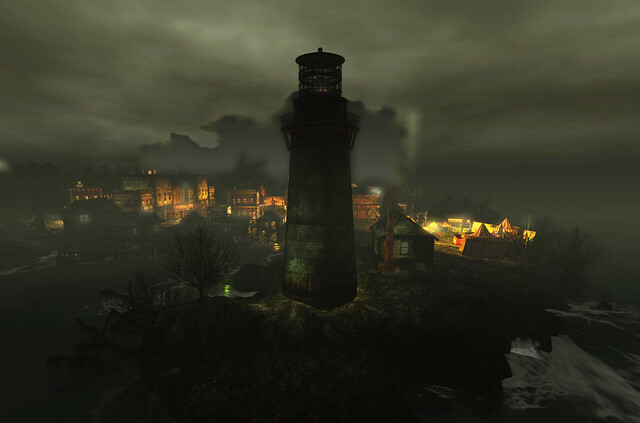 I stepped into the (in)famous sim of Innsmouth, and was immediately impressed by how the creators caught the spirit and mood of H.P. 's works. Is it a quaint New England town with prim old buildings that have only just fallen to the tide of industrialization, on the downswing into the Great Depression? Yes, yes it is. Is it full of strange and macabre decay, as if a wave of plague and government agencies had systematically whipped all the life out of the deformed, interbred citizens? Ayup. 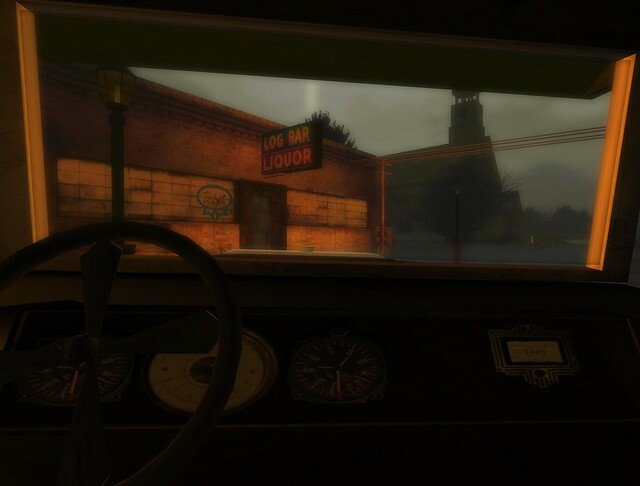 After receiving the informative notecard, I adjusted by windlight to the recommended [EUPHORIA] fin de siecle, and stepped gingerly out to look around. It’s a good thing I didn’t run into any of the locals. Staring far out at sea, I saw the edge of the Devil’s Reef, and wondered if many ships had run aground there. 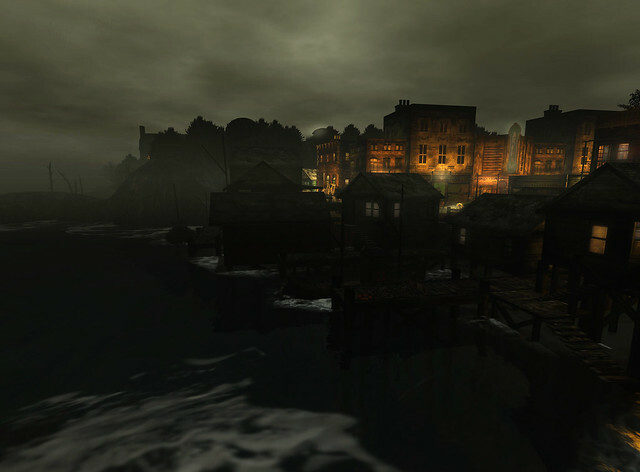 No sign of members of the Esoteric Order of Dagon, but I did see a strange, glowing green figure, almost like a goblin, staring alone into the waters of the bay… Will I return to this town? Undoubtedly. The mystery that lies beneath the veneer of genteel decay intrigues me still.